Lungwort is a foliose lichen, meaning it has a leafy appearance. Because it grows on the bark of trees found in old growth forests and woodlands throughout North America, Europe, Asia and Africa, it is also known as Tree Lungwort, Oak Lung and Lung Moss. The “lung” reference is readily appreciated when viewing a specimen in its natural habitat because it’s branching leaves and overall shape resemble a pair of lungs and bronchi. The dried herb is used to make teas, liquid extracts, infusions and syrups. appearance & aroma Leafy, without remarkable aroma. 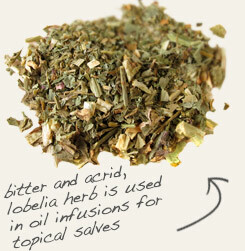 culinary Use to prepare tonics, tinctures, extracts and infusions. safety There are no known safety precautions associated with this plant. Combine with citric acid, also known as sour salt, in pickling spice mixtures. 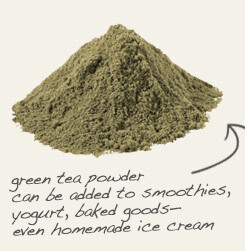 Blend with green tea powder and yogurt to make a soothing facial mask. 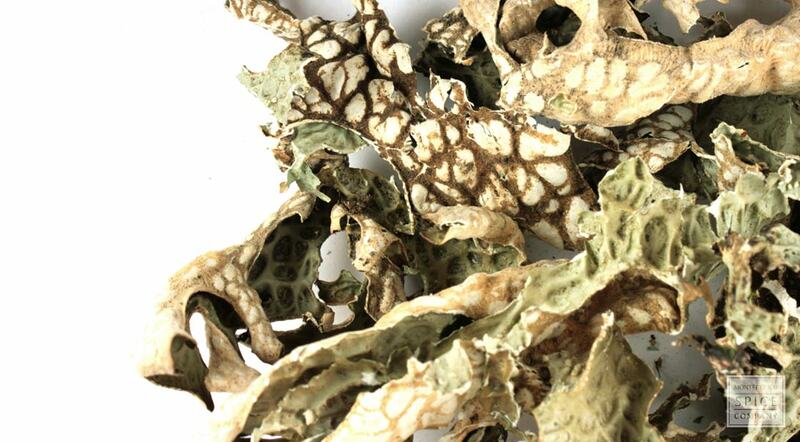 Lungwort lichen is not a culinary herb, although the dried leaves can be crushed and sprinkled over soups and stews. Lungwort lichen is a variety of lichen, a symbiotic organism composed of members of two or more kingdoms. Typically, a lichen consists of a fungus primarily and another organism able to generate food via photosynthesis. At one time, herbs were classified by their appearance. Because lungwort leaves resemble the branching bronchi of the lungs, it was thought to aid in the respiratory system. In many traditional systems, it is still used for this purpose today.